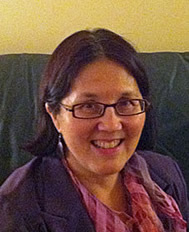 Professor Alice Nash is an Associate Professor of History. She has published numerous articles on northeastern Native American history including three in French translation in the leading Quebec journal Recherches amérindiennes au Québec. In 2003-2004 Nash held the first Fulbright-Université de Montréal Distinguished Chair, teaching a course on the Deerfield Raid of 1704 to Canadian students and bringing them to Deerfield for the Tercentenary of the Raid on February 29, 2004. With Christoph Strobel, she co-authored Daily Life of Native Americans from Post-Columbian through Nineteenth Century America (Greenwood, 2006). She is a co-editor of The Routledge Handbook on the History and Society of the Americas: Inter-American Perspectives (forthcoming, 2018). Nash is the recipient of three grants from the National Endowment for the Humanities (2013, 2015, 2017) to co-direct Summer Institutes for Teachers on teaching Native American histories in collaboration with Five Colleges Incorporated. TuTh 10-12 & by appt.